Slupsk [woj.Pomorskie], July 6th 1983, 11:26 am. Slupsk Military Airport, July 6th 1983, 11:26 am. The Radar localized an UFO object that had transgressed Polish airspace. Mr. Stanislaw Z. noticed the officials. Shortly then alert was announced. In the following minutes captain Praszczalek would go in the direct contact with the UFO. It is often that military services maintain that they don't register similar events but it was always clear that also Polish army deals with pilots' UFO encounters. There are many similar reports and the following one occurred in 1983 in Slupsk. The information was obtained from Mr. Marcin Wawrzak, an UFO enthusiast from Slupsk. It is a relation of a navigator, Mr. Stanislaw Z. "On July 6th 1983 I was on commanding duty as a navigator. We received information that some Unidentified Flying Object appeared over an airport in Darlowo." Slupsk Military Airport, July 6th 1983, 11:26 am. The Radar localized an UFO object that had transgressed Polish airspace. Mr. Stanislaw Z. noticed the officials. Shortly then alert was announced. In the following minutes Cpt. 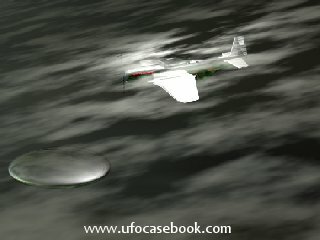 Praszczalek would go in the direct contact with the UFO. "I can see the target. It is steel in color, rotating around its axe, 'throwing' as a boomerang, without any exploratory marks, without any engines nor markings" - Stanislaw Z. told. Cpt. Praszczalek's report baffled the airport command. It was decided to notify the General Command of Air Forces in Warsaw. "In 20 minutes the decision came ordering the pilot to use fire. When I passed the command: "Fire!" to the pilot and I deliver limitations, he told: "The object made a sharp turn and disappeared!" In the following moments chaos reigned onto military radars screens. Navigators began registering thousands of unknown signals. For the next 10 hours military aircrafts were unsuccessfully searching the entire area. On the next day the Military Special Service members appeared in the base and began their investigation but its final verdict isn't known. Stanislaw Z. refused to talk about the investigation.